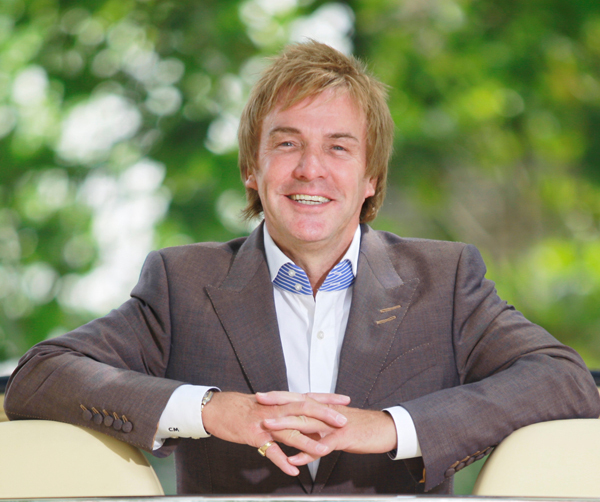 Charlie Mullins is the managing director of Pimlico Plumbers, the UK’s largest independent plumbing and domestic services provider. In 2007, after buying a house in Marbella, Charlie decided to establish a Marbella branch of the company, proving particularly popular with the region’s sizeable ex-pat community. Here, he discusses his experiences and the challenges that face homeowners abroad. 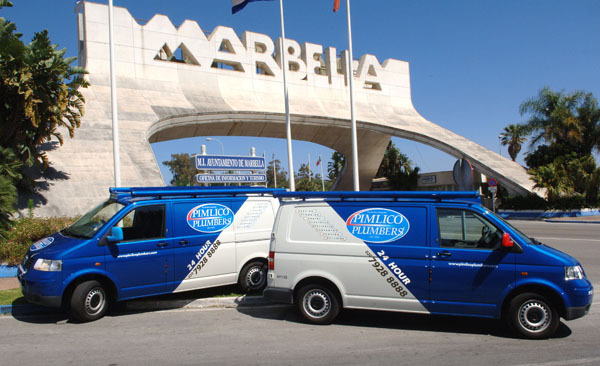 Charlie said: “I’ve been asked on many occasions what was going through my head when I decided it was a good idea to set up a Pimlico Plumbers base in Marbella. And if I’m being honest there have been times when I have asked myself the same question. “As anyone that has tried to take a winning formula and transfer it to another place, with a different culture will tell you, getting to grips with local customs and especially regulations, is no mean feat. Interestingly though, those who ask me why I set up a branch in the south of Spain are not usually my Marbella friends and neighbours, who are mostly Brits that have either moved to sunny Spain, or who, like me, keep a second home out there. “The reason for this is simple. There are many cultural differences that make it difficult to move a successful business model from one country to another, yet are exactly the same reasons that create the demand in the first place. “In short I deal with all the alien and often infuriating local rules, regulations, customs and that includes miles (sorry kilometres) of red tape, so our customers can relax and experience UK levels of quality and service. “It’s crucial to our business that what we deliver on the Costa Del Sol is everything that we stand for at home. We turn up when we say we will, do exactly the job our customers want, we are completely transparent and open with our pricing, and we keep at it until it’s done to their satisfaction. “It’s a formula that has always seen Pimlico Plumbers head and shoulders above the rest in the UK, and in Spain with its ‘mañana, mañana’ culture the difference is even greater, and that’s what people are demanding. Truth is they badgered me for ages to bring Pimlico out there before I finally gave in a few years ago, but believe me since I took the plunge we’ve never looked back. “In Spain we offer pretty much all the same services as we do in the UK such as plumbing, electrical work, building, carpentry, the whole domestic package. Of course, one of our major advantages is the guarantee that we quite literally speak the same language. “In Spain, communication is the key to confidence for our customers. People feel comfortable that they can explain to us what they want done and that we understand what they’re on about. Let’s face it, sometimes just telling someone what you want isn’t enough and it might take a five or 10-minute conversation to get both parties to the point that there is an understanding. Try doing that in broken English with a Spanish Builder! “One of the biggest fears of ex-pats using local labour, at least in Spain, is the worry of the ‘walk-out’. Whatever the dispute actually is, the heart of the matter can generally be traced back to bad communication, whether it’s over money or a cultural misunderstanding. The consequences of this, such as your team moving to another job before yours is completed, can always be avoided through better communication. “In short, out in Spain we deal with the ‘Agg’ so our customers can sit back and enjoy the many good reasons why they came to the country in the first place. I know this is true because before I set up Pimlico Plumbers in Marbella, I endured several years of pain trying to get things done on my villa out there. It's great to hear that you've now set up in Marbella. I've used you many times over the years on my property in Pimlico and I've always been happy with the service. I've also got a property in Elviria, so I hope you cover that area. I'll give your office a call. Where to get training for becoming plumber, i have done my high school and now looking for some jobs, Is plumbing good, will be happy to have some good advice. Hii there, my name is Derek and I have just completed my level 2 in plumbing and I will be starting my level 3 in September of this year, I am relocating to Marbella next year when I've completed my level3 plumbing. I will be coming to Marbella at the end of June and would very much like to do some voluntery work with a Plumbing company in Marbella, if that's possible please get back to me on my email or number, I'm based in the UK and due to travel to Marbella end of June.